Texas is the most conservative state in America right? Texas is the best Republican state in the United States right? Then why is it that several other states and even the United States House of Representatives has passed a bill that bans abortions after 20 weeks due to preborn pain? The answer is simple, the Texas House has a pro-abortion leader names Joe Straus. Under the leadership of Joe Straus, all the big abortion bills were killed in the 2013 Regular Session. 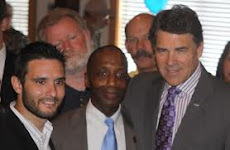 Thankfully we have a very pro-life Governor Rick Perry and he added pro-life bills onto the agenda of the 2013 Special Session. WASHINGTON (AP) — The Republican-led House on Tuesday passed a far-reaching anti-abortion bill that conservatives saw as a milestone in their 40-year campaign against legalized abortion and Democrats condemned as yet another example of the GOP war on women. The legislation, sparked by the murder conviction of a Philadelphia late-term abortion provider, would restrict almost all abortions to the first 20 weeks after conception, defying laws in most states that allow abortions up to when the fetus becomes viable, usually considered to be around 24 weeks. It mirrors 20-week abortion ban laws passed by some states, and lays further groundwork for the ongoing legal battle that abortion foes hope will eventually result in forcing the Supreme Court to reconsider the 1973 Supreme Court decision, Roe v. Wade, that made abortion legal. It passed 228-196, with 6 Democrats joining Republicans in voting for it. But it was a banner day for social conservatives who have generally seen their priorities overshadowed by economic and budgetary issues since Republicans recaptured the House in 2010. Marjorie Dannenfeiser, president of the Susan B. Anthony List – a group that seeks to eliminate abortion, said the legislation differed significantly from past abortion measures in that it restricts, rather than merely controls, the abortion procedure.